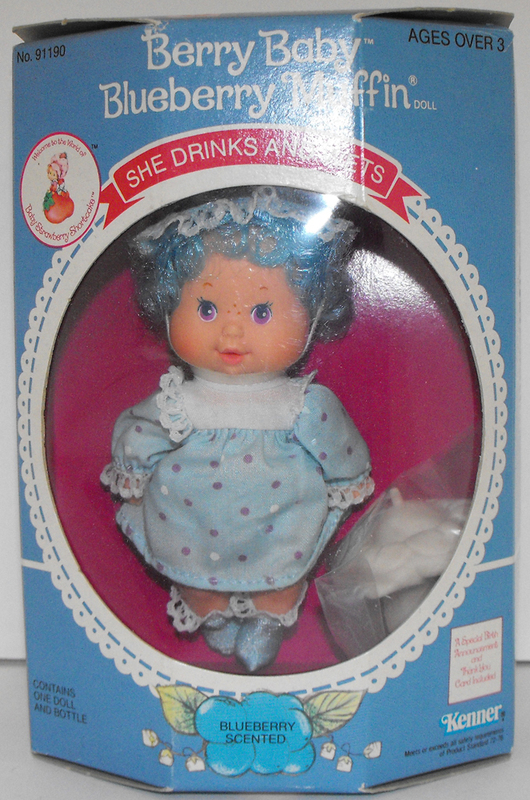 Blueberry Muffin Vintage Berry Baby Doll Mint Condition, Sealed in Original Box. The doll drinks and wets! Comes with Doll in bonnet, dress, diaper, booties and bottle. The doll is in new, mint condition. The box itself is in good condition but it is faded.